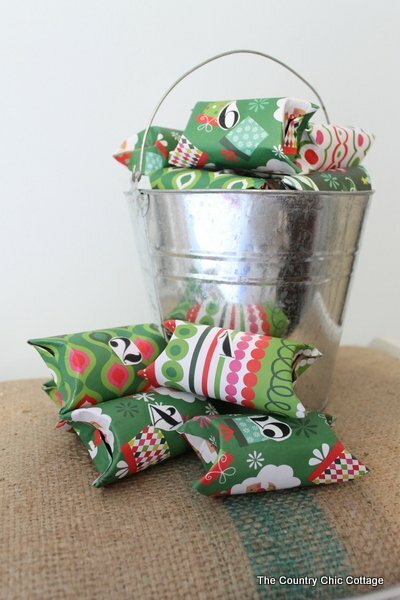 You are here: Home » budget friendly » Christmas Advent Calendar — the EASY way! 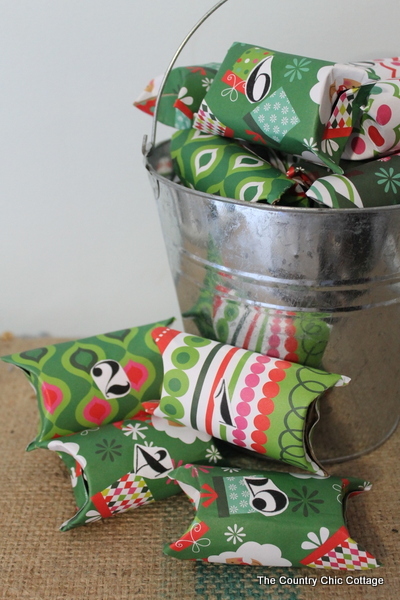 Christmas Advent Calendar — the EASY way! Last year was our first year using a Christmas advent calendar of any type and the kids loved it. But y’all they can be a TON of work to make. Plus I wanted one for the 24 days leading up to Christmas — 24 days is even more work. 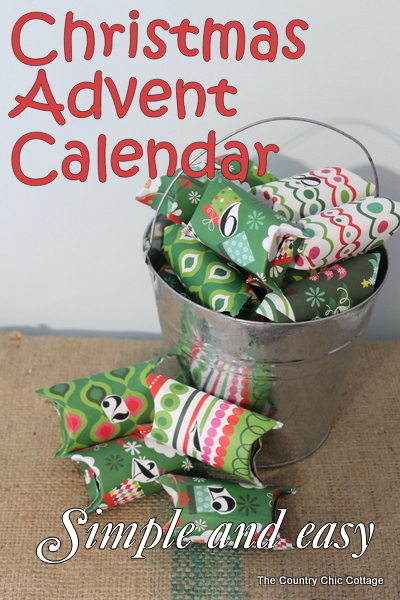 So I came up with a super simple and easy way to make an advent calendar. It is even compact so you don’t have to hang anything on your walls. Are you ready to get started? Some links in this post are affiliate links which means a portion of your purchase goes to support this site. Break out your toilet paper and paper towel rolls cause we are also going to be recycling. 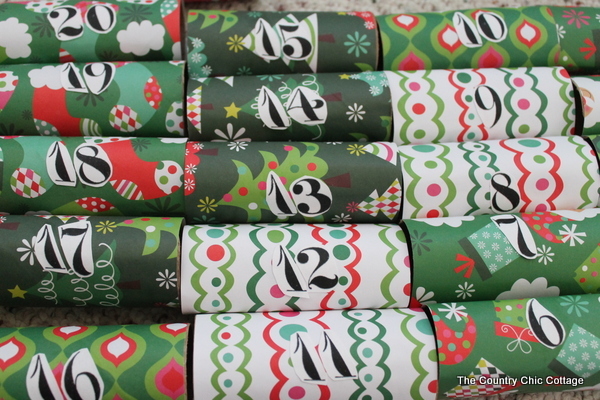 I used 24 rolls for my calendar. Some were toilet paper rolls and others were paper towel rolls that I cut to the same length as my toilet paper rolls. I cut some scrap book paper into 4 1/4 by 6 inch pieces. 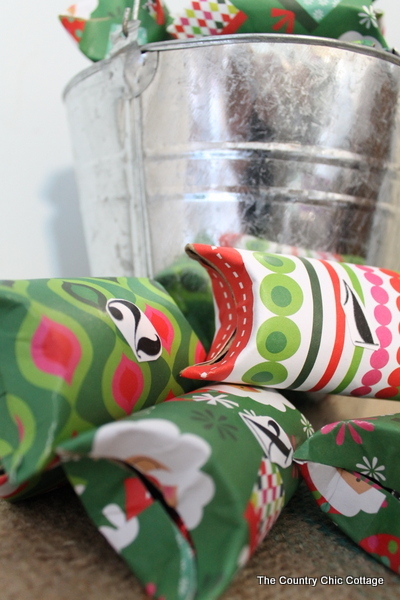 You could use wrapping paper or anything else you have on hand. 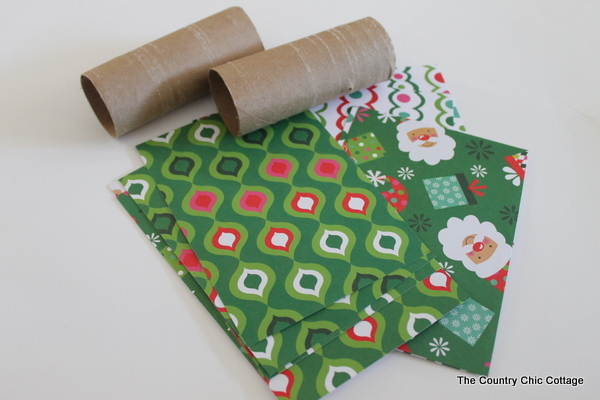 Try the wide selection of Christmas scrapbook paper on Amazon. 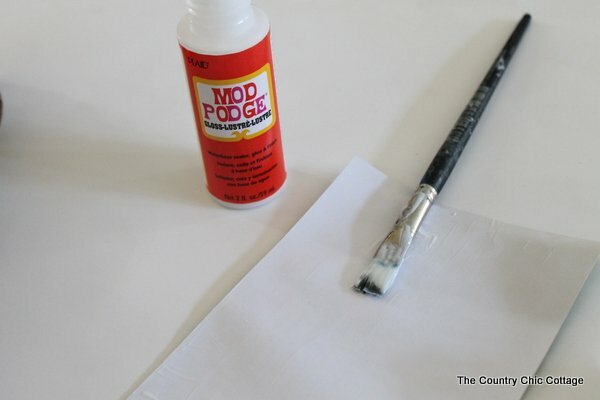 I coated the back of my paper in Mod Podge first. I think this helps avoid wrinkling. Just a quick thin coat will work fine. 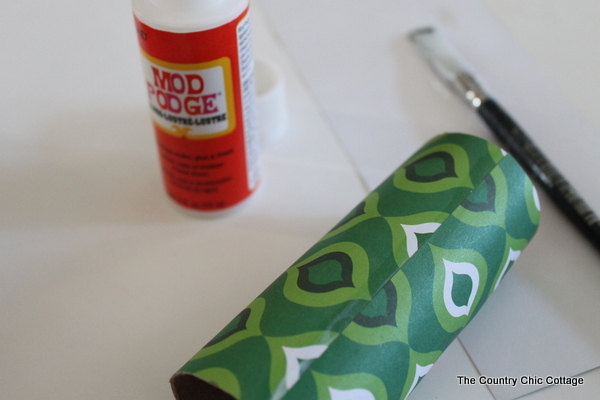 Then put additional Mod Podge on the roll itself and wrap with your scrap book paper. It overlaps slightly so secure with some Mod Podge at the overlap. I then printed some numbers from The Graphics Fairy — FREE — onto card stock. I then cut those out and Mod Podged those onto the rolls. All 24 of em…. I put candy in each of them. Then did you know that if you fold in the ends of a paper towel roll they look just like pillow boxes? How cute is that? So simple and easy too! I dropped them all into a metal pail. Ready for December 1st! You could of course do just the 12 days leading up to Christmas. But my bunch will love to countdown all month long. I love that I don’t have to find a place to hang this. Plus all it cost me was 99 cents in scrap book paper and the price of the candy inside. Simple yet tons of fun for kids and adults alike. So do you use an advent calendar? 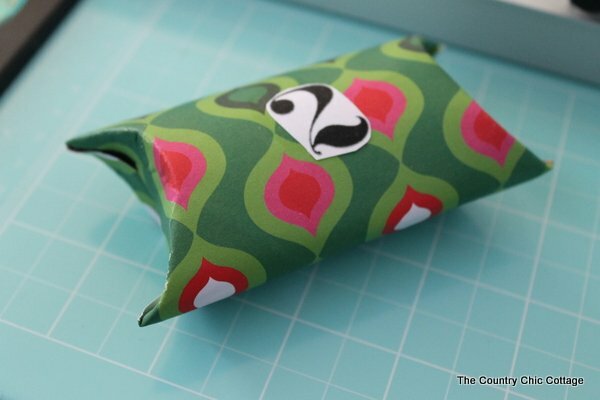 And did you know that toilet paper rolls could look like pillow boxes? Cause I surprised myself with this one! How cute and creative! With different paper, you could also use these for Valentine’s Day treat boxes. I’ll have to start saving my toilet paper rolls LOL! Beautifully executed. Awesome idea. I absolutely LOVE coming up with projects for upcyclying t.p. & paper towel tubes (amongst other things) and showing the kids / students / adults too – that you don’t always have to go and buy new products (usually made in China and ending up in an American landfill). Thanks so much for sharing. I’m sure that if they’re handled carefully enough they can be reused for years to come. It would be fun to fill some of them with art supplies for the kids instead of candy. I also might use the idea for home made gift boxes for smaller items. I wonder if lightly scoring the curved line for the fold/bend would help prevent cracking or crumpling of the paper. It would take more time though… Worth experimenting with! Thanks again. Keep on creating! GREAT idea, Angie! I think I’m going to do this! Such a smart idea! Love it & love that you don’t have to find a place to hang it all. This is a really good idea. I work in a Residence of seniors and they would enjoy to get a little surprise like those everyday till, Christmas eve. Thank-you for the great idea.